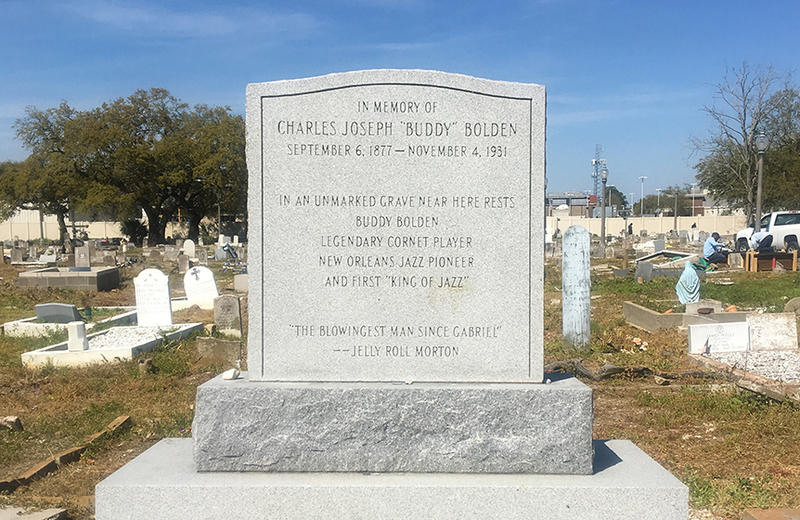 Jazz great, Charles Joseph "Buddy" Bolden is buried at Holt Cemetery. Originally a cemetery for the city’s indigent population, Holt Cemetery passed through several rounds of ownership before being established by Dr. Joseph Holt, a city board of health official, in 1879. Holt cemetery is very different from the typical New Orleans cemetery. Graves at Holt are marked and decorated by the families of the deceased. As a result, graves are not only indicated with commercially-produced headstones, but also with a diverse range of hand-made markers in materials ranging from wood to stone and cement. Some are distinguished also by an array of votive and memorial items, while others are distinguishable only by sunken areas in the ground. This cemetery is also unique in that the burials happen below-ground and the ownership will stay with the family so long as it is well-kept. Unfortunately, over the years there has been much disregard for this requirement and many of the graves have grown over with weeds. However there is a charm to this cemetery, with its large oak trees and personal touches adorning the grave markings.